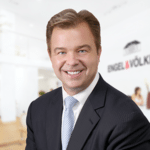 Anthony Hitt has served as the president & CEO of Engel & Völkers Americas since January of 2014, drawing upon the brand’s rich European history to deliver a fresh approach to luxury real estate in the Americas. Under Anthony’s leadership, the brand consists of approximately 150 real estate shops and more than 2,700 advisors, contributing to the Engel & Völkers’ global network of over 10,000 real estate advisors in more than 30 countries. Anthony is a member of Forbes' Real Estate Council, has been recognized on the Swanepoel list of "Top 200 Most Powerful People in Residential Real Estate" for three consecutive years and has been noted as a Real Estate Influencer by Inman News. Last month’s announcement of Zillow Instant Offers has led to a lot of chatter (and some noticeable silence in the public realm) as real estate agents worry about whether technology will take away their jobs.